Marine Resources Council is a mangrove aquaculture facility, licensed and permitted by the Florida Department of Agriculture and Consumer Services. 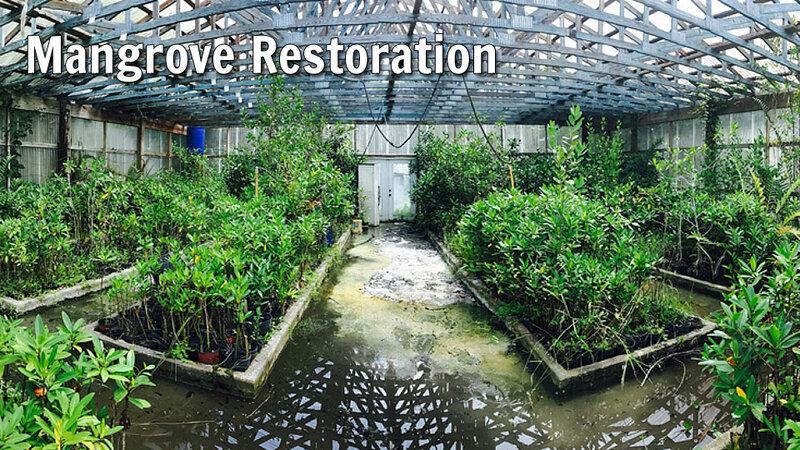 In our mangrove restoration program, we care for the three species native to Florida (red, black, and white), a total of approximately 4,000 plants. These mangroves will all eventually be transplanted along the Indian River Lagoon to provide nutrient uptake, wildlife habitat, storm protection, and erosion control. By the end of 2018, we will plant almost 1,000 mangroves along the IRL shoreline through multiple projects funded privately and publicly by the Save Our Indian River Lagoon Project Plan. MRC is always accepting propagules so next time you are on the beach it is easy to help our restoration efforts by collecting seeds and dropping them off to us at the Lagoon House!